Since 2004, SAS has had a wet lease agreement (aircraft and crew) with Cimber A/S (Cimber) that has a cost efficient production platform for regional jet operation. 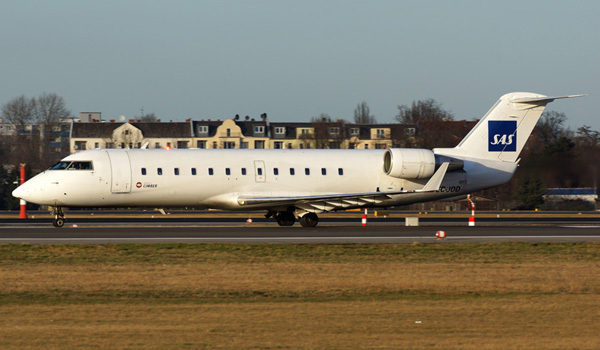 The acquisition provides SAS with an opportunity to transfer production with smaller aircraft to Cimber, consisting of 12 CRJ900 with base in Copenhagen. As a result, a more focused and flexible production can be achieved. – The acquisition of Cimber, will give SAS access to a specialist within regional flights with a very competitive production platform that complements SAS’ production of larger Airbus and Boeing aircraft. Due to expected synergies, the acquisition of Cimber can also provide opportunities for SAS to maintain and develop regional routes within the network for the benefit of SAS customers, says Rickard Gustafson, SAS President & CEO. The discontinuation of Cimber’s current fleet of CRJ200 and ATR72 will be implemented as already communicated and decided by Cimber.